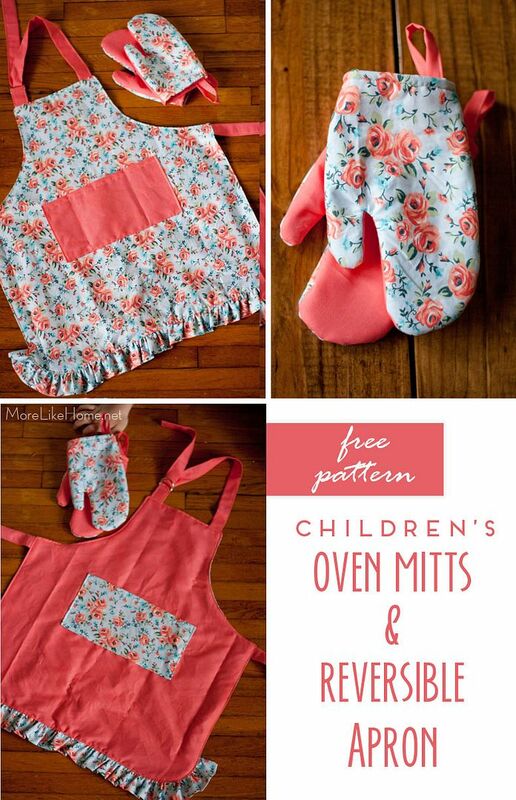 Get the oven mitt pattern here. 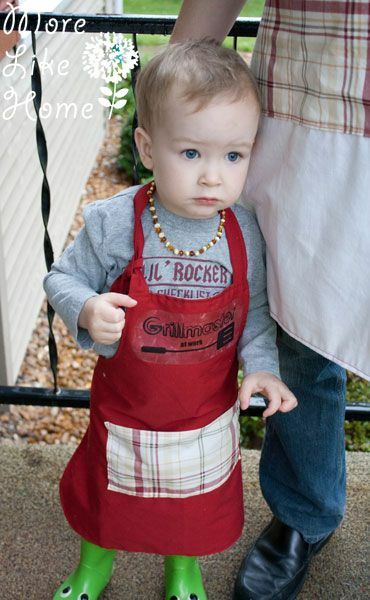 This apron is double the fun because it's reversible! 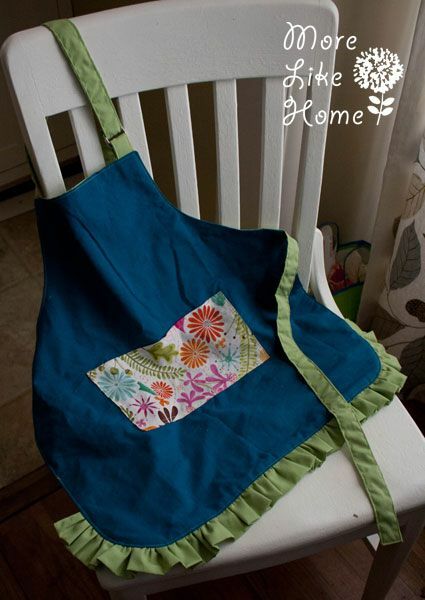 It has an adjustable neck strap and a pocket on both sides. 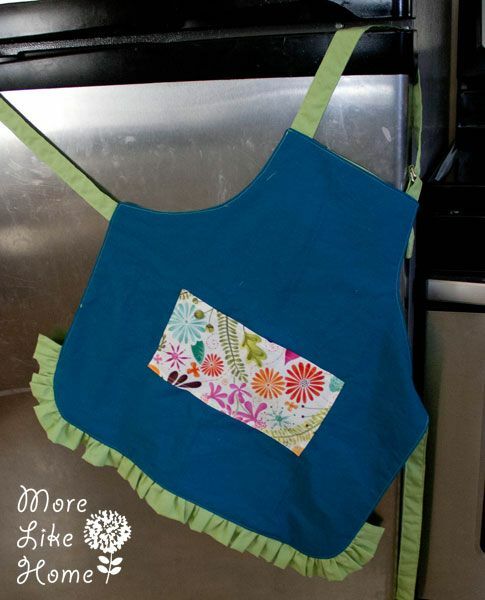 And the ruffle along the bottom gives it a fun, girly touch! 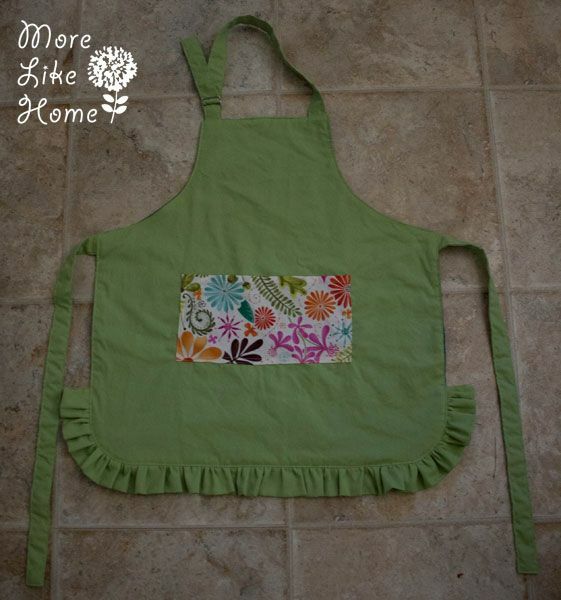 But you can totally make one for boys too if you skip the ruffle. 1 body piecs - 20 x 21"
1 ruffle piece - 4 x 50"
3 straps - 4 x 22"
1 strap tab - 4 x 4"
2 pockets - 6 x 10"
Now we can start putting it together. Start by prepping all the strap pieces and strap tabs. 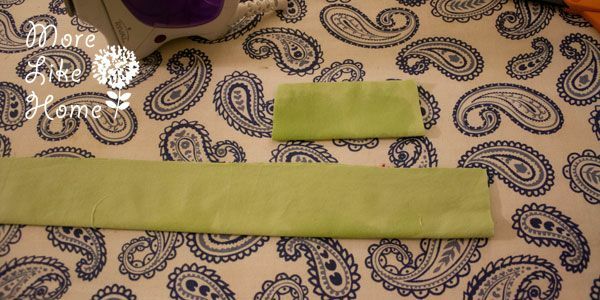 Fold them in half length-wise and press. 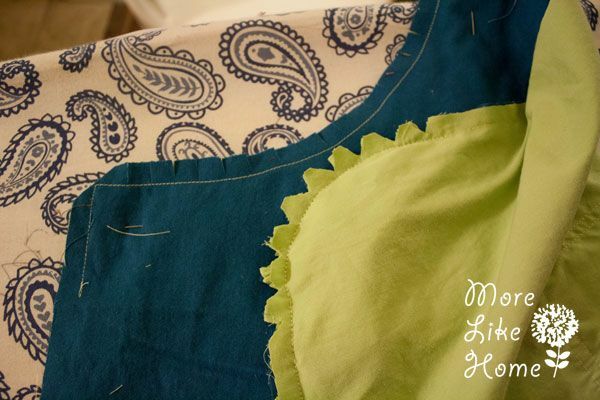 Open them up and fold both long edges in toward the center crease. Press. 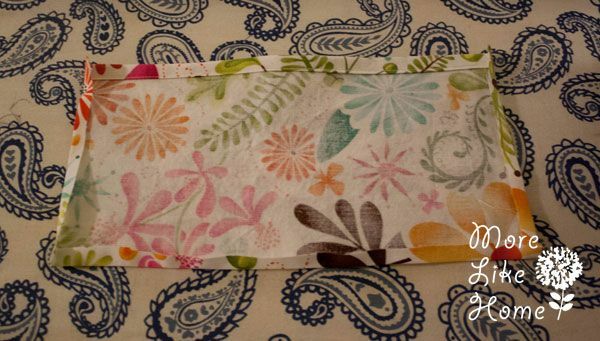 Fold on the center crease and press again. Pin the layers together. 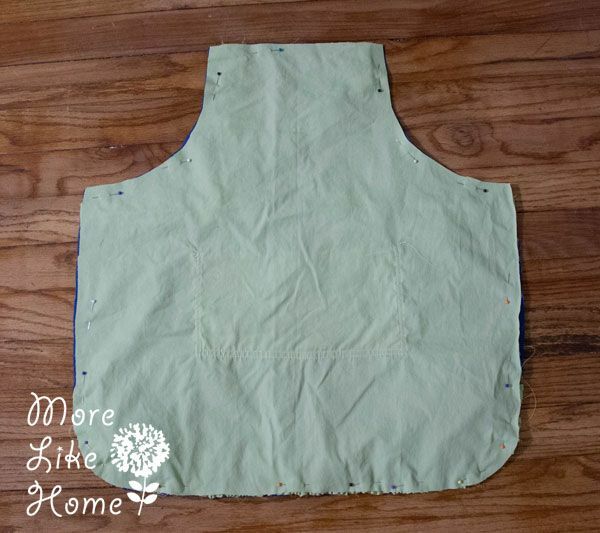 Starting at one end of each strap, sew right along one of the long edges. 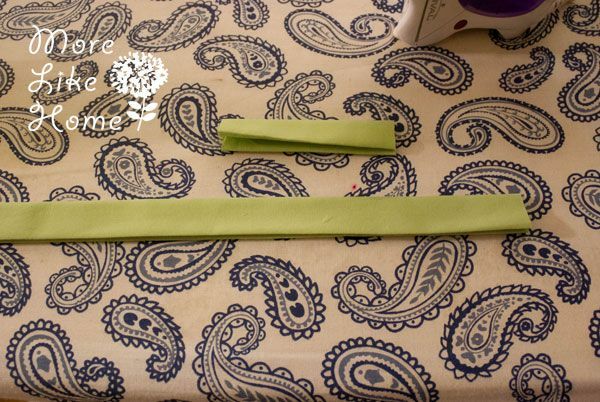 When you get a couple inches from the end, stop and fold the end in like the pic below so no raw edges are showing. 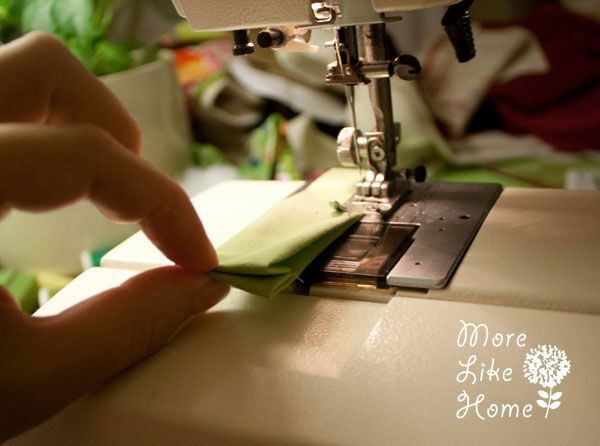 Then continue stitching to the end. Turn the corners to go around the end and back down the other long edge. Do this for all the strap pieces. 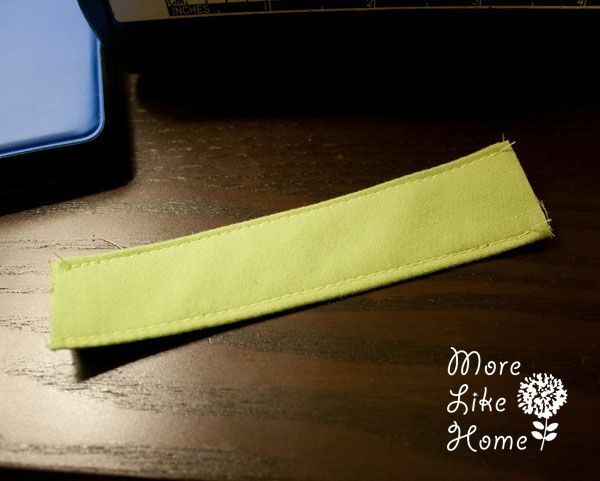 For the strap tab, just stitch right along each long edge and leave the ends alone. Now prep the ruffle. 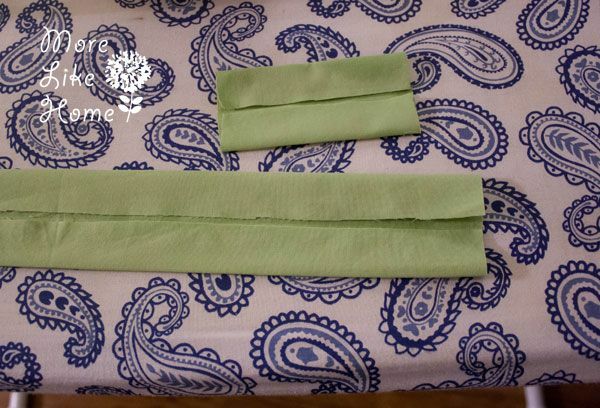 Start by folding the ruffle piece in half length-wise and pressing. Pin it. 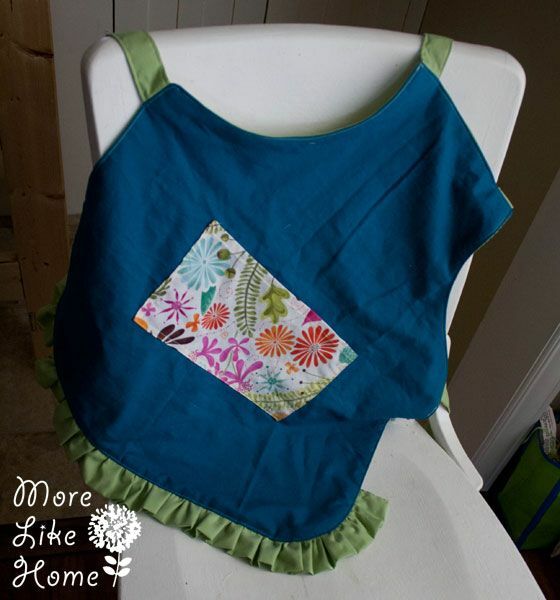 Use a long basting stitch to sew along the top raw edges of the ruffle with a 1/8" seam allowance. Leave a couple inches of tail at each end. 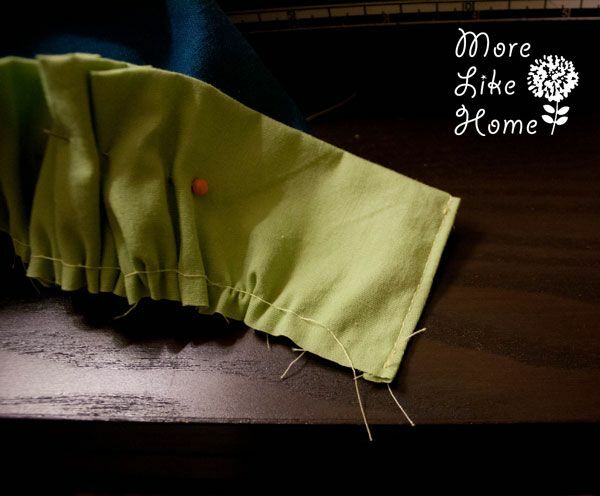 Pull the bottom thread on the ruffle to gather the fabric. Keep gathering until the ruffle is 28" long. Now prep the pocket. 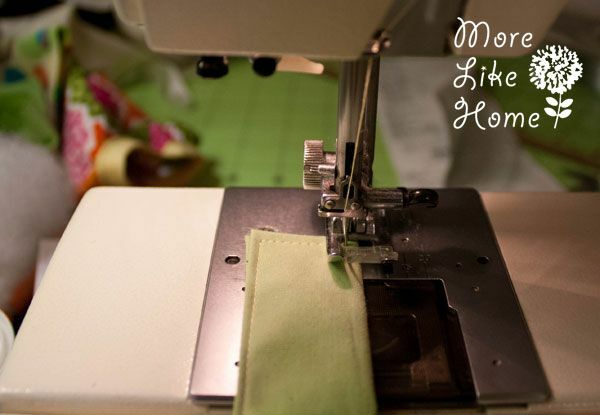 Start by making a simple rolled hem on the top edge (one of the 10" sides). 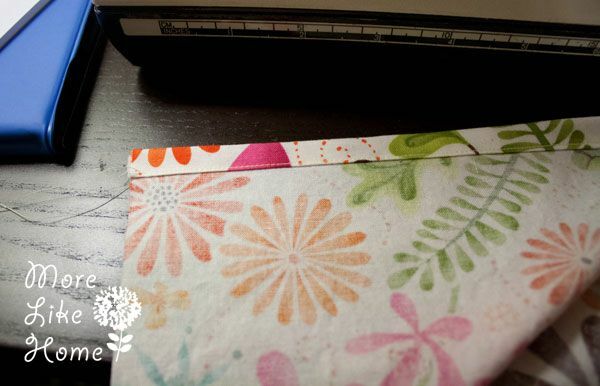 Fold the edge under 1/4" and press, then 1/4" again and press. Stitch right along the folded edge. Now fold the three raw edges under 1/4" and press. 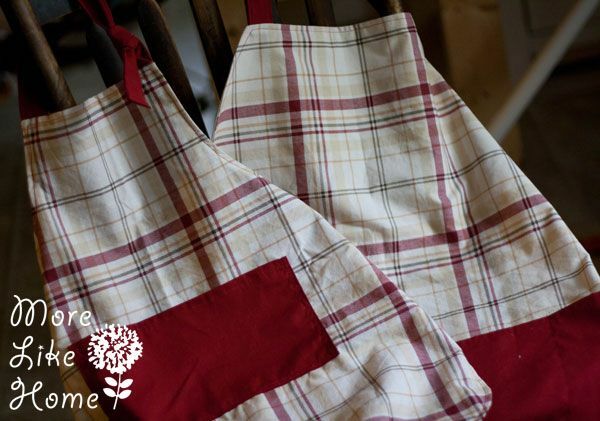 The other two straps should be pinned on either side of the apron with the raw edges flush with the edges of the apron. 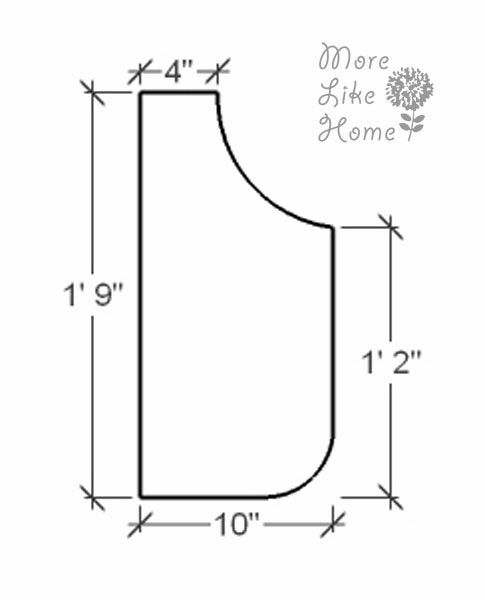 They should be set down just over 1/2" from the curved edges. Again, make sure you pin the ends of the straps so they don't get in the way later. 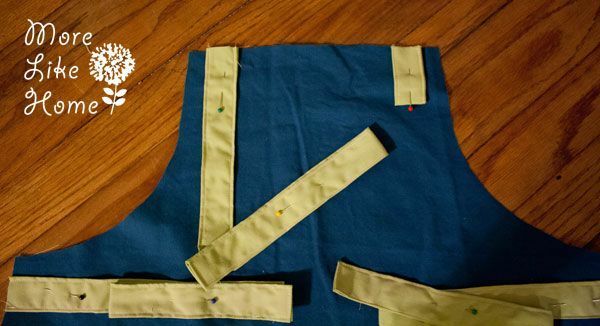 Pin the pocket on - I put mine about 1.5" below the straps and centered it across the apron. 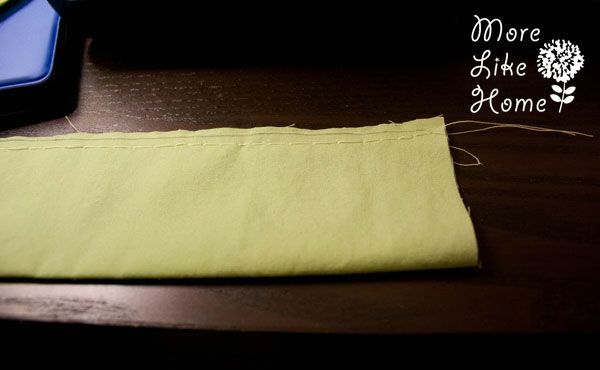 Go ahead and sew right along the edges of the pocket to attach it (I like to do two lines of stitching). 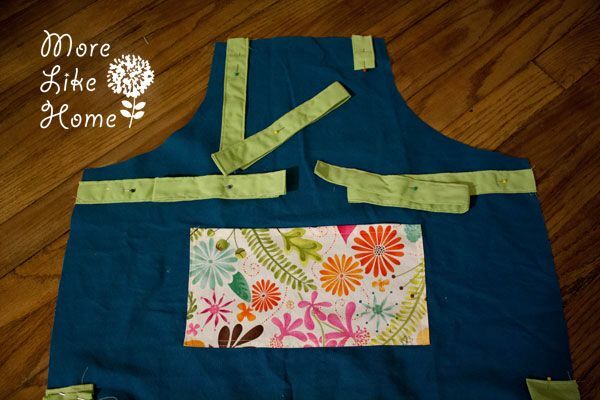 Attach the pocket to the other apron panel the same way. Pin the ruffle in place too. 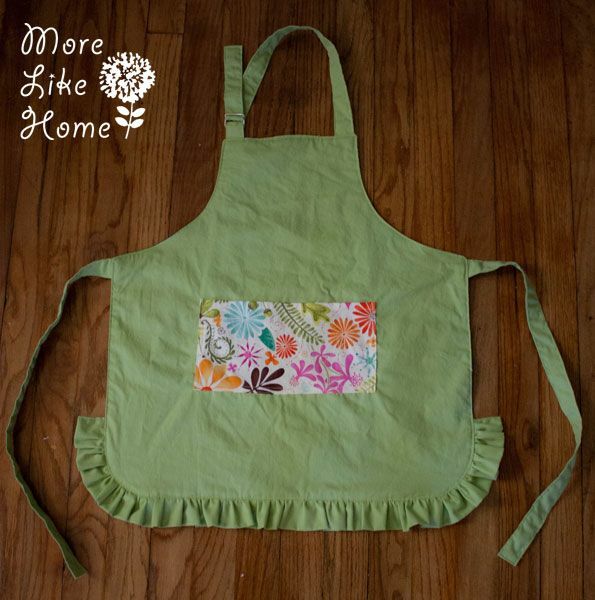 Line up the center of the ruffle with the center of the apron. 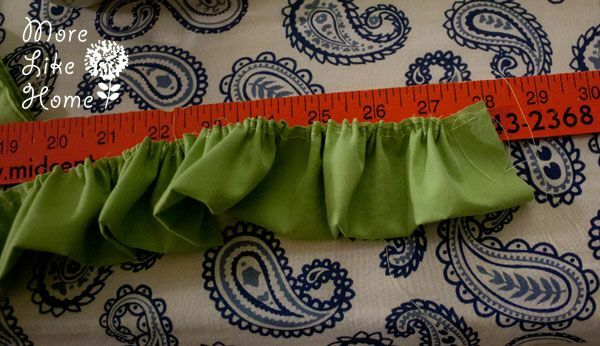 The raw edge of the ruffle should be flush with the bottom edge of the apron. Pin it in place. 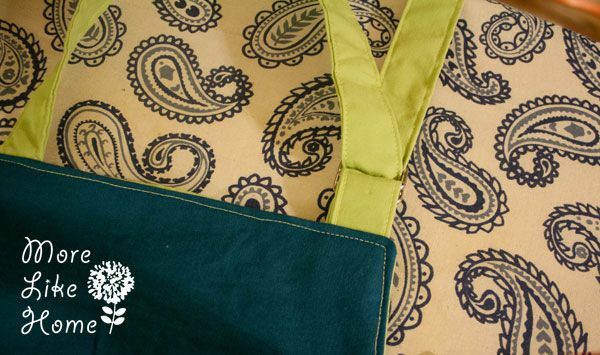 Work around the bottom of the apron pinning as you go until the ruffle is all lined up. 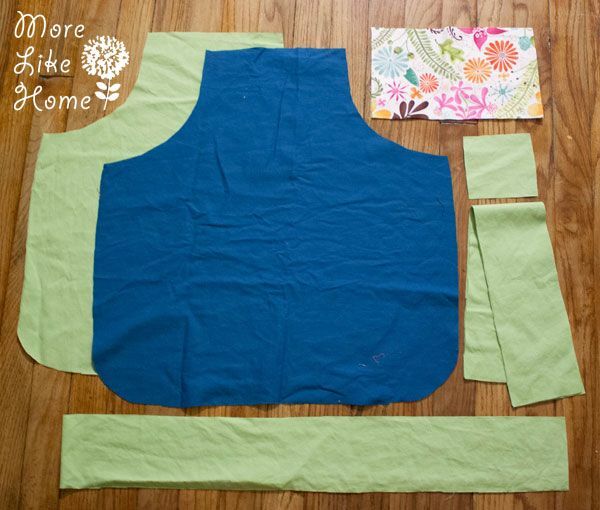 Lay the other body piece (with the pocket already attached) down face-down on top. Pin around the edges. 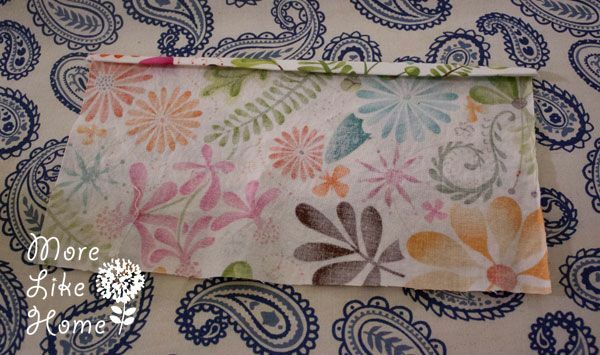 Stitch around the edges with a 1/2" seam allowance, leaving a 3-4" opening on one side for turning, just make sure you don't leave it on a curve! If you want to make a fun gift set with this you could fill the pocket with dollar store utensils like wisks and spatulas. Then wrap it all up with a homemade baking mix! 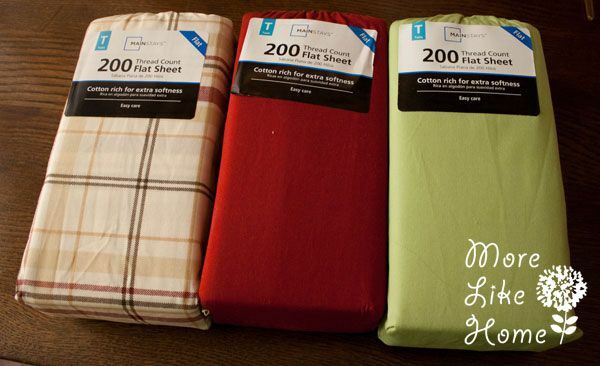 But here's the real beauty part of using cheap sheets. 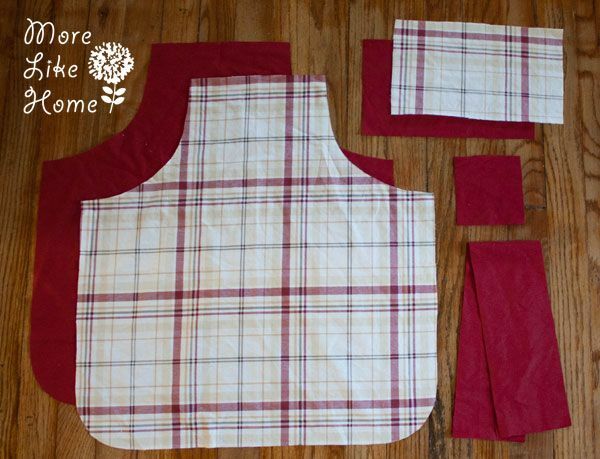 I already cut one child and one adult apron out of the red & plaid sheets and I still have almost half of the sheets left! 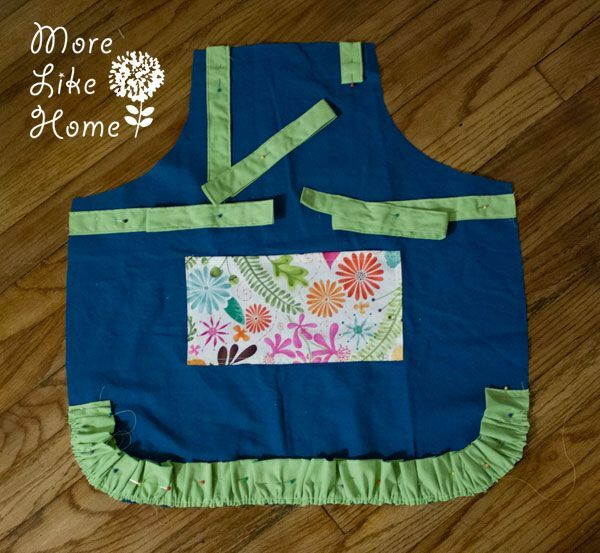 So I would guess you could squeeze four kid-size aprons out of each pair of sheets, which means you would be spending just over $3.00 per apron!! "Yoo hold Baby A! Yoo tummy!" 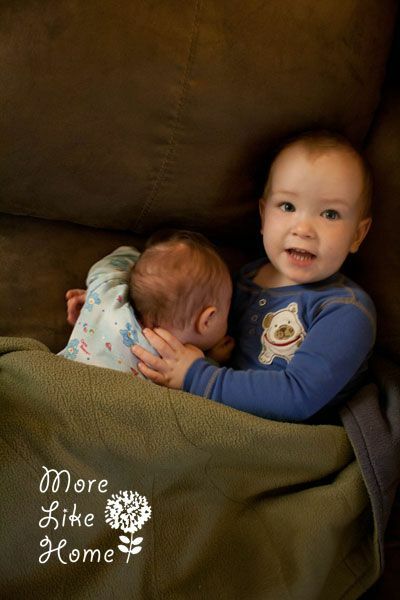 "Noooo... Yoo lay side him." 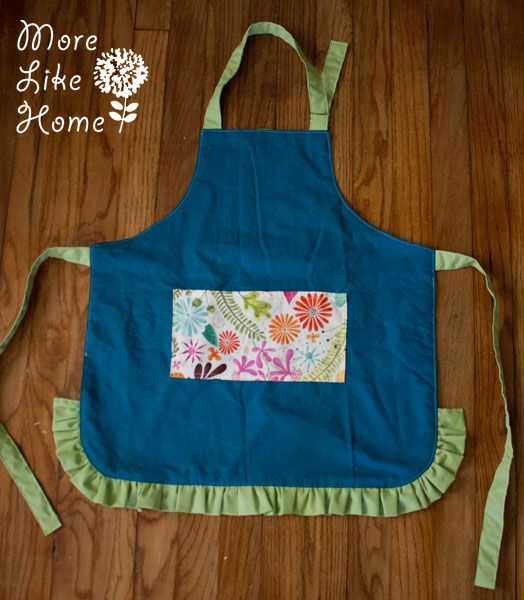 Thanks for the tutorial - I was able to use it as a guide to make some aprons for the craft fair at my son's preschool.